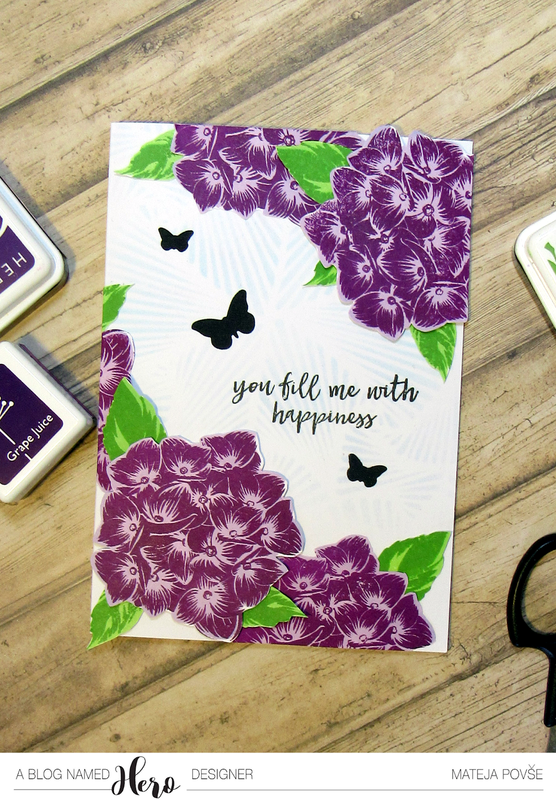 I made a card using some fussy cut hydrangeas from a beautiful Hero Arts set Color Layering Hydrangea stamped with Soft Purple and Grape Juice ink for the flowers and Green Hills for the leaves. I used the sentiment from the same stamp set and added some texture on my card base with Soft Sky ink over Deco Pattern stencil and a few butterflies from Butterfly Confetti Fancy Die. This is a beautiful stamp set and it does not take long to cut them out (just watch a movie or a favourite YouTuber while you are doing it) and they fill the card beautifully. Danes sem naredila voščilnico z izrezanimi hortenzijami čudovitega seta Hero Arts štampiljk Color Layering Hydrangea odtisnjenega s Soft Purple in Grape Juice blazinico za cvetove in Green Hills za liste. 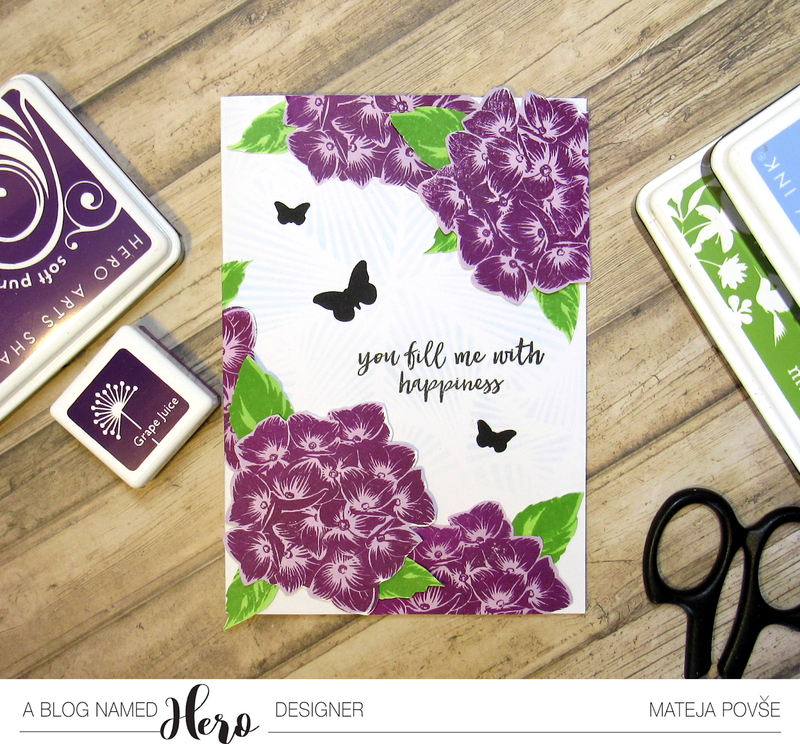 Uporabila sem voščilo iz istega seta in na osnovi dodala nekaj teksture s Soft Sky blazinico preko Deco Pattern stencil šablone skupaj s par metulji iz Butterfly Confetti Fancy Die. Čudovit set štampiljk, ki je preprost za izrez (zraven poglejte kakšen film ali najljubši kanal na YouTube) in zelo lepo zapolnijo voščilnico.